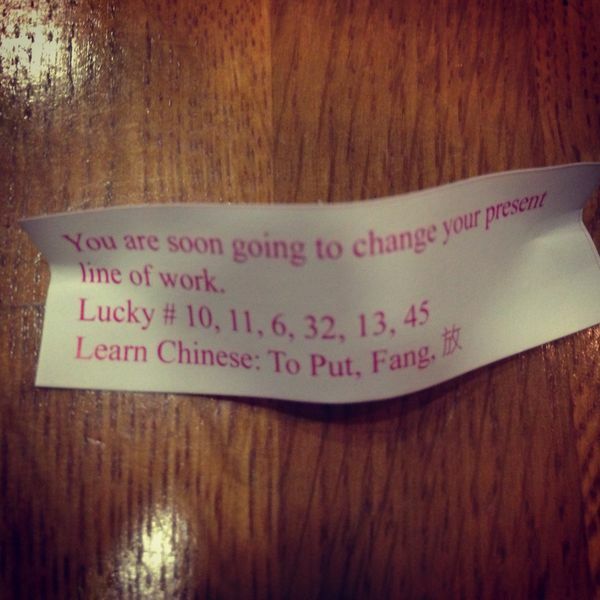 Nothing like this fortune cookie to set the tone for the year! It's going to take a lot of work to get me to change careers. I absolutely love my new job and the people I'm working with. The students I've met so far have been awesome and I am ready to hit the ground running in 2 days!